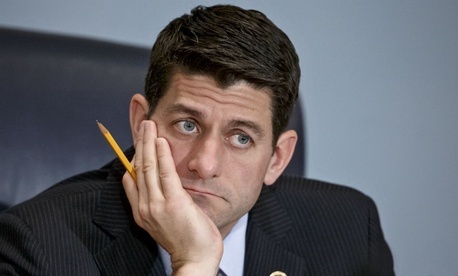 Will Republicans Target Feds With a Return to the Ryan Budget? When Rep. Paul Ryan, R-Wis., stepped down as head of the House Budget Committee this year, federal employees likely exhaled a collective sigh of relief. During his four-year tenure as the panel’s chairman, Ryan laid out several blueprints for the government’s budget. They attempted to eliminate the federal deficit, which meant draconian cuts to federal agencies’ spending levels. It also meant direct attacks on federal employees, including proposals for: a 10 percent cut in the size of the workforce, higher retirement pension contribution levels, the elimination of the annuity supplement for certain young federal retirees and the end of student loan repayment for federal employees. Ryan’s budget proposals twice passed the House, but were held up in the Senate. That could all change with Republicans taking control of the upper chamber. While Ryan has moved on to the position of the House’s top tax man, his ideas linger over the congressional budget committees. His successor, Rep. Tom Price, R-Ga., and the Senate budget leader, Mike Enzi, R-Wyo., will bring separate proposals forward next week. Both are expected to seek a balanced budget by 2025. Enzi’s ranking member, Sen. Bernie Sanders, I-Vt., said this will likely spell a rehash of old ideas. The Republican budget will look “a heck of a lot” like Ryan’s proposals, Sanders said at a press conference this week. A spokesman for Enzi declined to comment on which federal workforce provisions will be included in the senator’s plan. The resurfacing of Ryan’s budget priorities would not come as a surprise to federal employees, with unions warning after the midterm election its return could squeeze the workforce at time when its responsibilities are growing. Now consider a government employee whose income is generated by taxes, taxes that also bought the Apple Computer that she uses to process a [National Institutes of Health] grant that goes to a researcher at a state university. That researcher, funded by the federal government, goes on to invent a molecule that the pharmaceutical industry buys and turns into a major new therapy. Yet we tend to see this as ‘unproductive spending.’ Yet what is the difference between the two, especially when that same federal worker goes to the supermarket and shops with her government paycheck at the end of the week, and spends more than our heroic author? Does that not add to the economy either? Somehow we seem to think not. Democrats pledged to inject their priorities into the plan by offering amendments. Former Budget Committee Chairman Sen. Patty Murray, D-Wash., said she hopes to build off of the two-year agreement she reached with Ryan in 2013. That measure partially rolled back sequestration cuts, though it also required new feds to pay more into their retirements. “Hopefully it won’t take another government shutdown for Republicans to join us,” Murray warned.